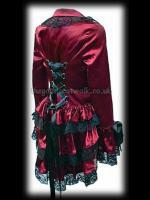 Gothic Jackets & Coats - We stock a selection of women's gothic Victorian and burlesque jackets and coats in sumptuous velvet, elegant satin and pretty lace as well as cotton, silk and damask. 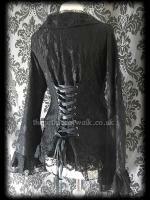 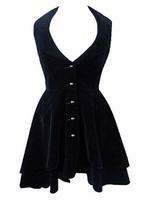 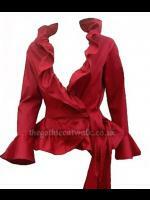 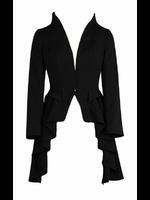 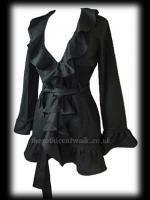 We have frock jackets, corset jackets and tops that double up as lightweight jackets. 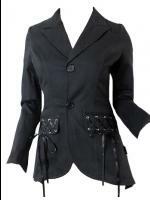 Some of our jackets are very fitted so please check the measurements we give as a guide before ordering and if in doubt, order one size larger to allow for clothing worn underneath.